The bangle is the ornament, which is popular among the women and girls. When the thousands years old ruins were discovered then different paradigms of bangles were also discovered. Earlier, the bangles were prepared with mud, ivory and the wood then other materials were also used in the preparation of these ornaments. The bangles made up of the glass, got so much popular that no other metal can get so much fame. 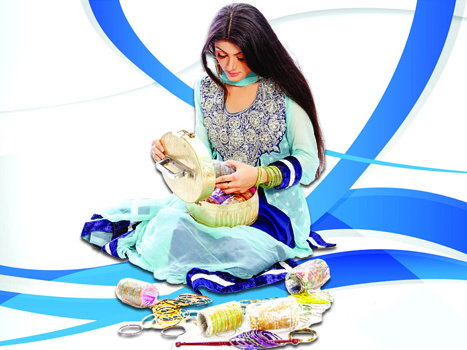 The fashion of the women is not completed as and when they do not wear the glass made bangles. This is the fashion, which you can use in different seasons. 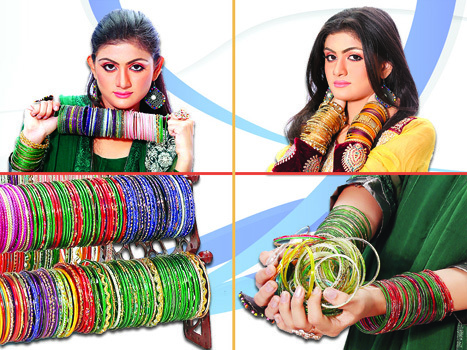 You can find different types of the bangles but these are not out of fashion. These delicate ornaments are considered their wedding life in the Indo Pak subcontinent. The bangles made of gold and other costly materials are considered very expensive and they can be stolen. But the bangles made up of glass are cheap and there is no fear of their theft. The women of all age groups can wear these delicate and decent bangles of different colors. The married women and the young girls or the small girls can wear all these crystal and glass made bangles.